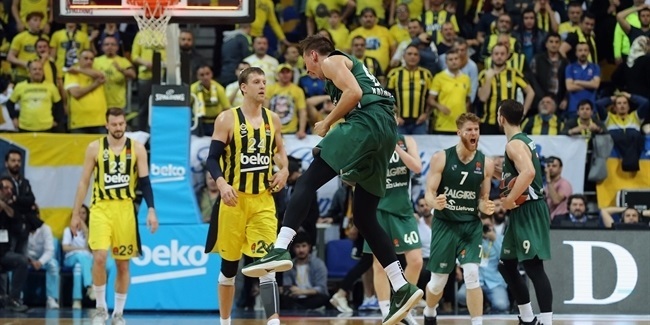 One of 21st-century international basketball's most emblematic stars, Sarunas Jasikevicius, will be honored for the place he earned among the all-time greats when he is named a Euroleague Basketball Legend on Thursday before the Game of the Week between Zalgiris Kaunas and Real Madrid. Jasikevicius - known to fans far and wide by his nickname, Saras - is now an assistant coach for Zalgiris Kaunas, having retired last summer after a 16-year professional career. His four Euroleague titles are the second-most since 1980. He is the only player ever to become club champion of Europe with three different teams or to three-peat with more than one team. A point guard who dominated almost every skill required at his position, Jasikevicius amassed his four Euroleague trophies in a span of just seven seasons. 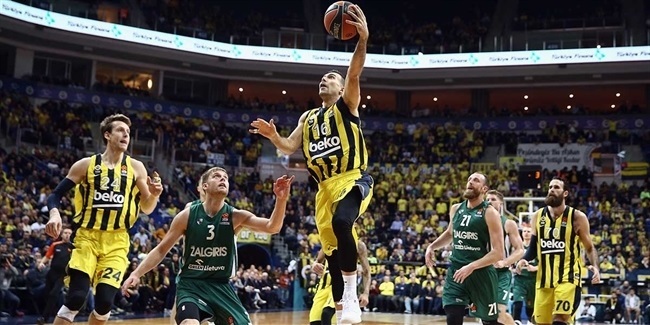 His first came with FC Barcelona, ending that club's long search for a Euroleague crown. One year later, in 2004, he led his new team, Maccabi Tel Aviv, to the widest victory margin ever in a European champioship game even as he became the first player to win back-to-back Euroleague titles in different uniforms. In 2005, with Jasikevicius as MVP of the Final Four, Maccabi became the first repeat Euroleague champoin in 14 years and Saras the first player or coach since 1991 to win the trophy three seasons in a row. 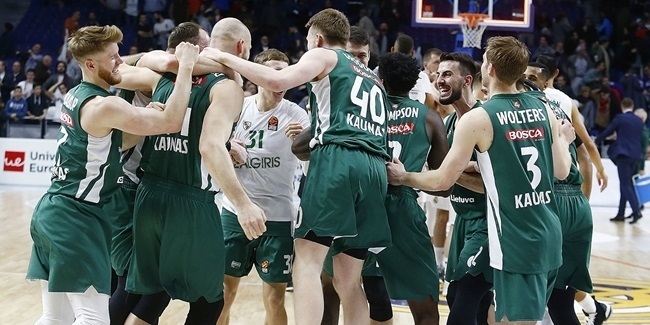 Jasikevicius returned to the winner's circle in 2009 with Panathinaikos Athens four his fourth and last Four Final victory, just one fewer than the record-holder and his teammate that season, Fragiskos Alvertis. In addition to his 2005 Final Four MVP award, Jasikevicius was voted to the All-Euroleague First Team in both that season and the previous one. He was also named among the 10 players on the Euroleague All-Decade Team covering 2000 to 2010. His national team honors with Lithuania were headed by the gold medal in the 2003 EuroBasket, after which Jasikevicius was named MVP. He also won bronze medals in the 2000 Olympic Games and the 2007 EuroBasket with Lithuania. He was also national club champion or cup champion in six countries: Slovenia, Spain, Israel, Greece, Turkey and Lithuania. After his 13 Euroleague seasons, Jasikevicius is everywhere in the Euroleague record book, ranking among the top 10 players all-time in six different statistical categories. He is ranked second in all-time free throw accuracy, with 92.26%, having missed just 46 of 594 attempts; fifth in total assists, with 755; tied for sixth in games played, 226; eighth in scoring (2,343 points), three-point shots made (315) and free throws made (548).